The Andrew Price Academy is the cornerstone of quality in our Salons. 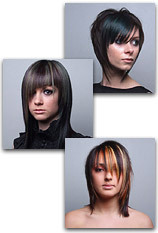 You will receive the same professional haircuts and service that you would expect from our Salons, it just costs less. The cuts can take a little longer than in our salons but this is because our students are supervised at all times during your session by one of our highly experienced hairdressing assessors. So, if you want to look good for less – and you are not in a big rush – book an appointment at our academy. Who knows, your haircut could be from our next top stylist. Feel free to browse our student’s work in the gallery and contact us to arrange an appointment by phone email or our online form.